Hi guys! 1000 followers! I'm so excited, thank you all so much for following my blog. Blogging has become a huge part of my life, I love doing it so much and it's wonderful to hear from you guys that you appreciate what I'm doing. It's what makes working on this blog even more fun and it keeps me motivated. So thank you! It means a lot to me. What a cool collage picture!!! Congrats!!! 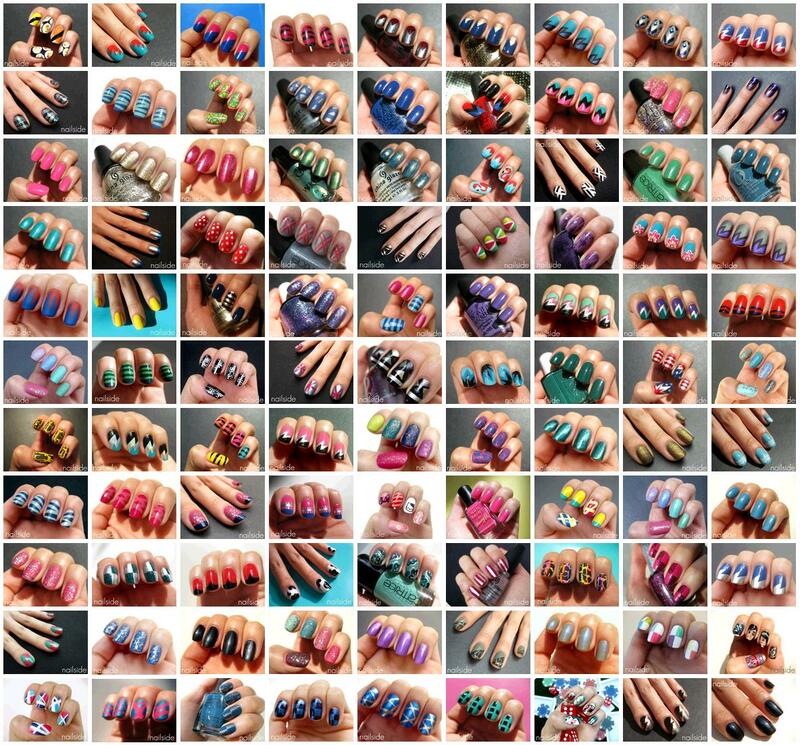 Big fan of your blog, all your manis are awesome!!!!! congratulations!! you totally deserve it, and it is easy to see. you got your followers so fast and without even doing giveaways. i'm happy to have been able to share you with some of my readers a few times and help you get to 1000! Congrats! I love reading your blog, and seeing your beautiful and creative mani's! Congrats on 1000 followers, you deserve everyone of them your blog is awesome and all your manicures are perfection! I hope that one day I'll be able to make the same kind of post. Congratulations, I love your blog! Congrats! You really deserve this.. Love your blog! ehi congrats!! it's a great milestone! Congrats. My daughters and I have an icon on our desktop to open right up to your blog. We love your tutorials. Hope 2000 is not far aways for you. Ha, anad now you're nearing 3 times that... with good reason, I must say :D !